In light of the recent kidnapping of an Estonian security police officer by the Russian FSB, it may be worthwhile to take a look in the past. We may be shocked at the course of events in the last few days – and we may be especially astonished at the egregious disregard for a NATO member’s sovereignty – but the fact is, kidnapping Estonian citizens on Estonian soil is nothing new for the Russian authorities. In fact, back in the thirties, Soviet Russia kidnapped altogether 46 Estonian citizens, and brutally murdered border guards who were performing their duties, defending the Estonian border. Even though the Republic of Estonia and Soviet Russia had signed a peace treaty in 1920 and, within it, the countries forwent any territorial or other demands to each other, the Soviet Union had always planned to occupy the country, whatever it took. And so, in the thirties, while actively making preparations for occupying Estonia, Soviet border guards started kidnapping Estonian citizens, mostly fishermen working on Lake Peipus and Lake Pihkva. The aim of those crimes was to get as much information on Estonia’s defence capabilities as possible – even though common fishermen might not have known anything. In August 1936, Soviet border guards kidnapped four Estonian fishermen about a kilometer inside Estonian territory. The men were taken to the Russian side, interrogated for information about Estonian border guard stations and their personnel, Estonians’ general attitude and remuneration, and about the prices of goods in Estonia. A month after that, in September, Russian border guards abducted three Estonian fishermen, again from inside Estonian territory. They were interrogated for information about Estonian border guard stations and police officers. In December the same year, seven Estonian fishermen were kidnapped, again by the Russian border guards, and again from the Estonian side of the border. They were questioned about the locations of Estonian border guard stations, and whether they had any weaponry. About a month later, in January 1937, eleven Estonians were abducted from Lake Pihkva, and interrogated about the Estonian Army, the Defence League and border guards. They were also asked about the layout of the villages they lived in, and using the data collected from them, the Russian border guards managed to draw detailed maps of those villages. Altogether, between 1936 and 1937, Soviet Russia abducted 46 Estonian citizens who were taken from Estonia to Russia and interrogated about all aspects of life in Estonia, particularly the armed forces and the Estonians’ general attitude. When deported Estonian officers arrived at the Gulag in 1941, after the Soviet Union had already occupied the country and started mass murders and deportations, they found some of the kidnapped Estonian fishermen in the camp. Unfortunately, the Soviet authorities didn’t stop at kidnapping. 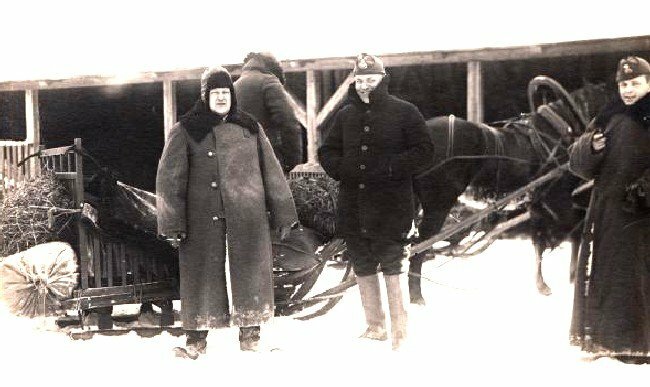 In February 1938, two Estonian border guards were kidnapped by force from the Estonian side of the border and taken to Russia. The aim of the abduction was to fake an unauthorised border crossing, and to perpetrate that, the Russian border guards murdered their Estonian counterparts in cold blood. A month earlier, two Russian border guards crossed the border in an attempt to kidnap yet again Estonian fishermen. 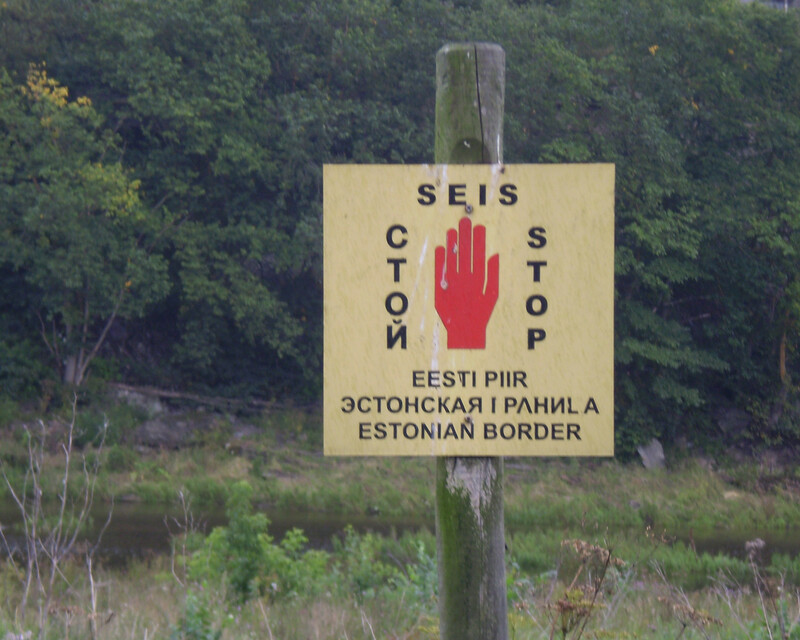 Fortunately for the Estonians, at the same time four Estonian border guards were at the same location. The Russians started firing at the Estonians, and in the returned fire, both Russian border guards were killed. In both these instances, the Soviet state-controlled media blamed the Estonians for crossing into the Russian side, blatantly lying about what really happened. And in a particularly similar way, the Russian state-controlled media now accuses the kidnapped Estonian officer of crossing into Russia where he was supposedly “arrested”. Even though the free media of Estonia has photographic proof that a violent struggle happened on the Estonian side of the border, and the security officer was dragged by force to the Russian side. Governments change, lies – and methods – stay the same. For updates concerning abducted Estonian official, please follow Estonian World‘s or Sten Hankewitz‘s Twitter accounts. 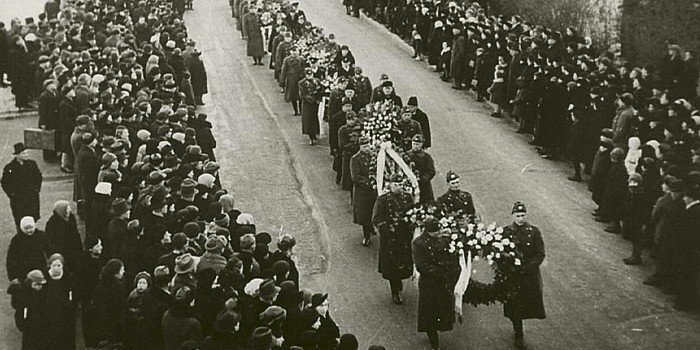 Cover photo: The funeral of Estonian border guards, murdered by Soviet Russia, in 1938. Courtesy of Vaino Kallas.